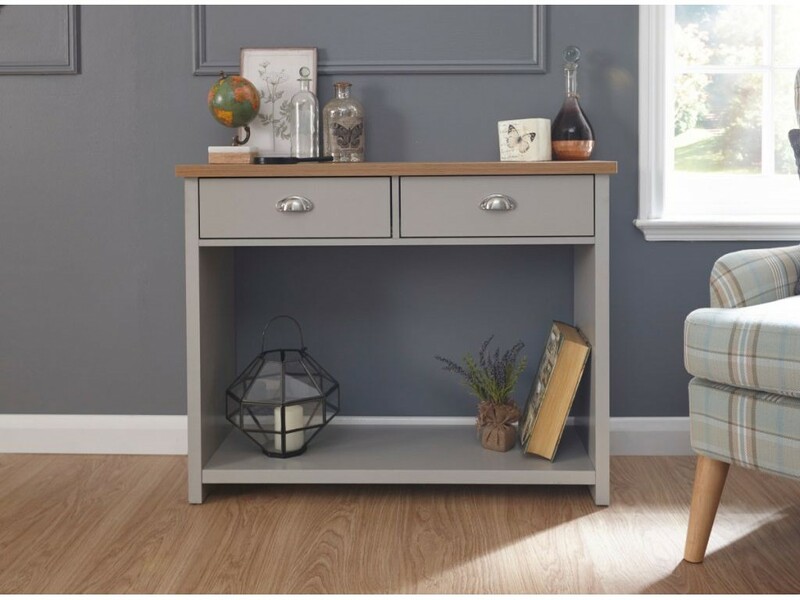 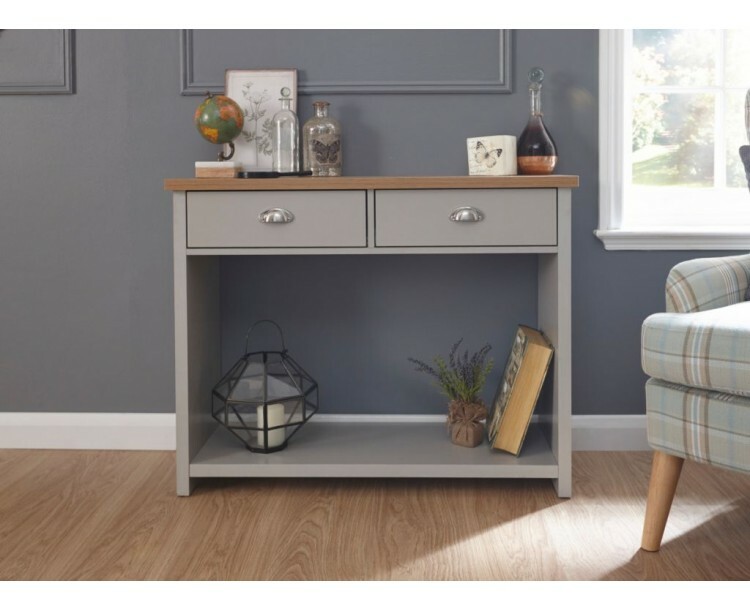 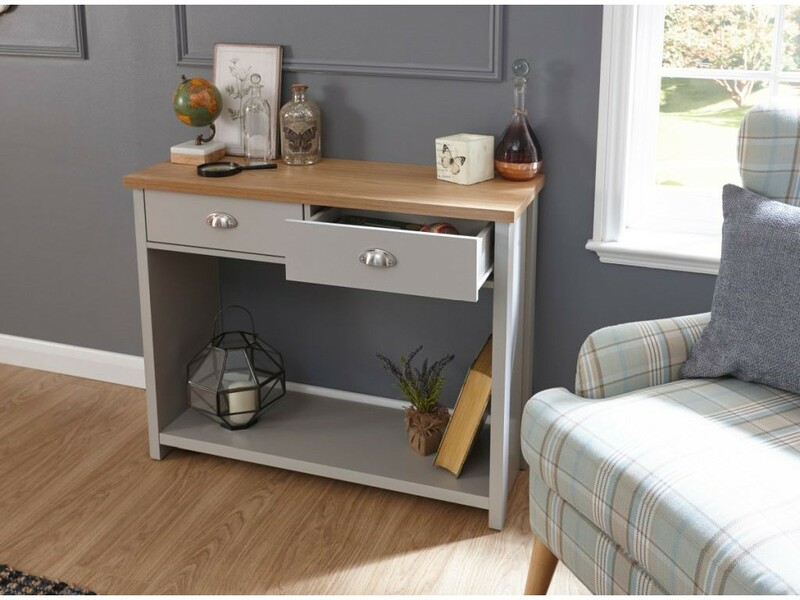 The Lancaster console hall table in a modern soft grey finish with contrasting oak veneer top is perfect for your hallway or living room. 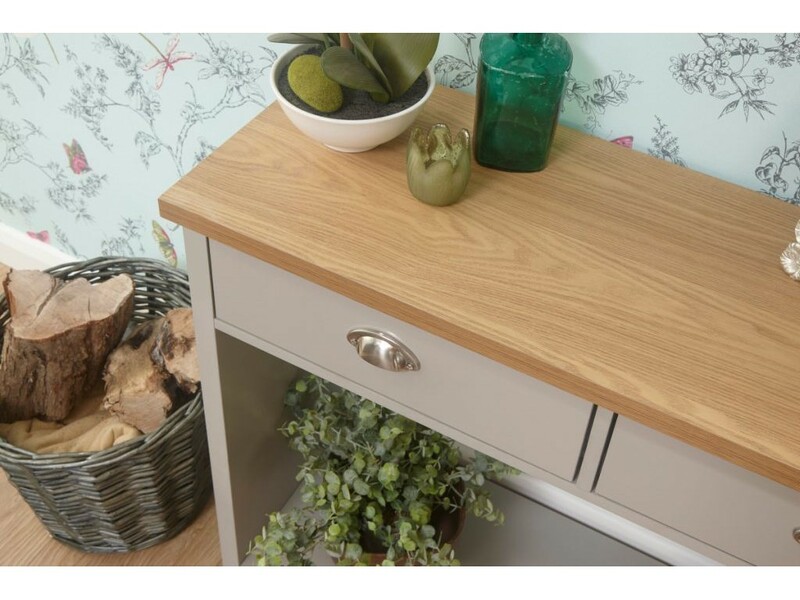 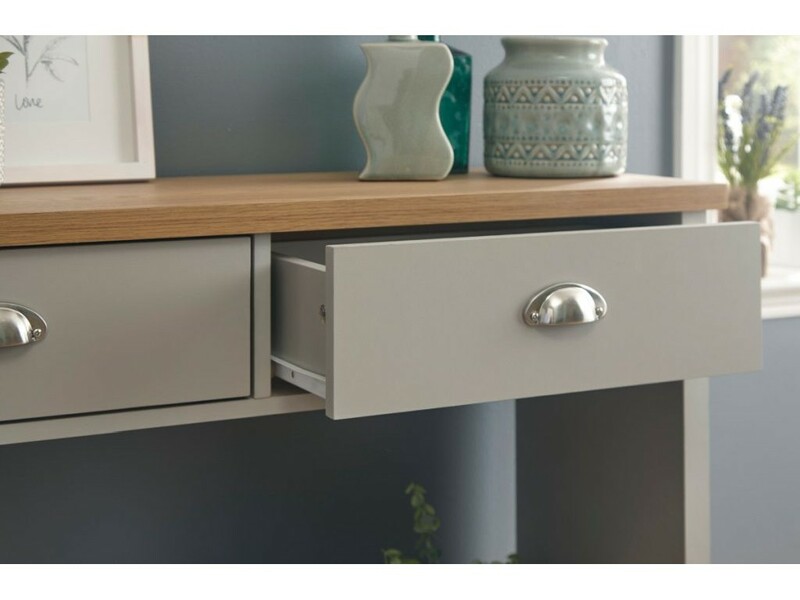 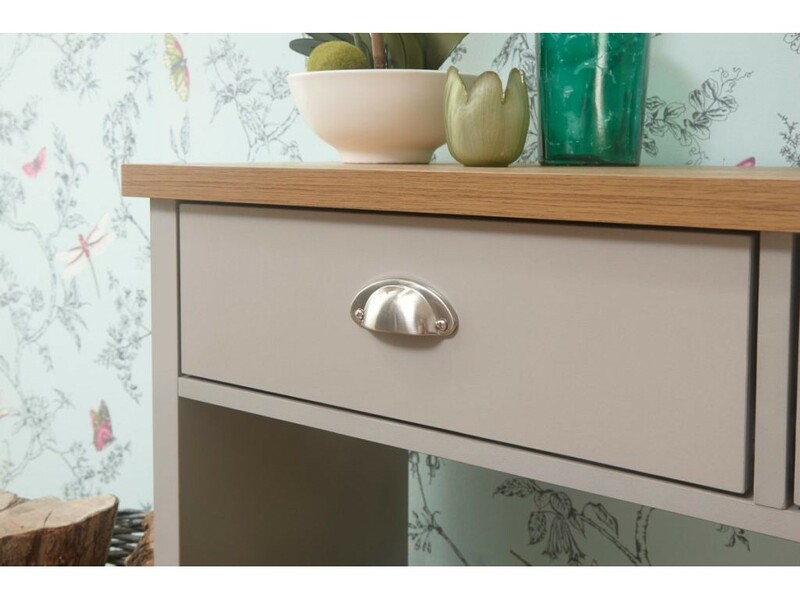 Our Lancaster console table has two handy drawers with satin silver handles and a usefully large shelf underneath. 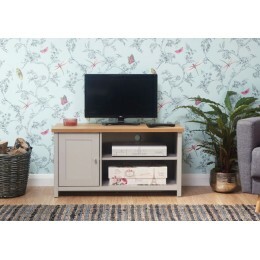 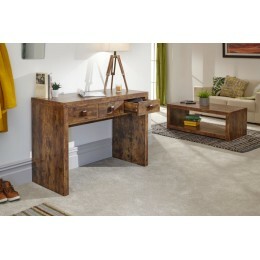 This console table will look great with the rest of the Lancaster Living Room range.